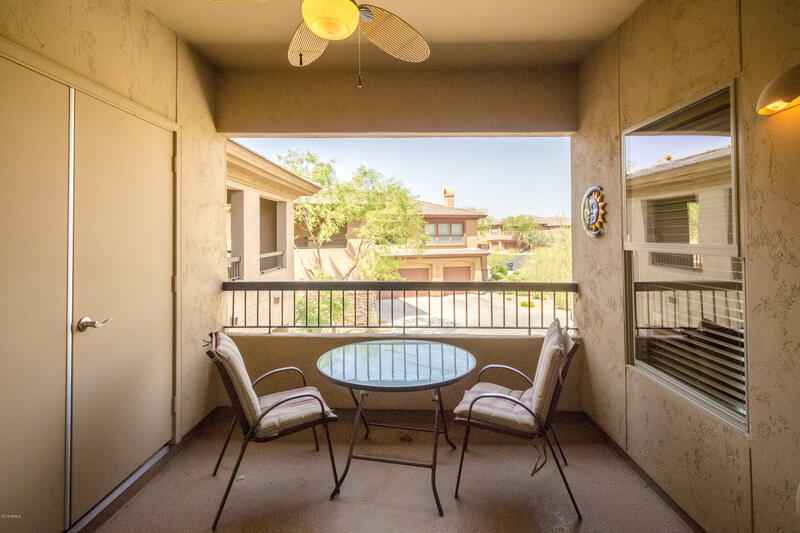 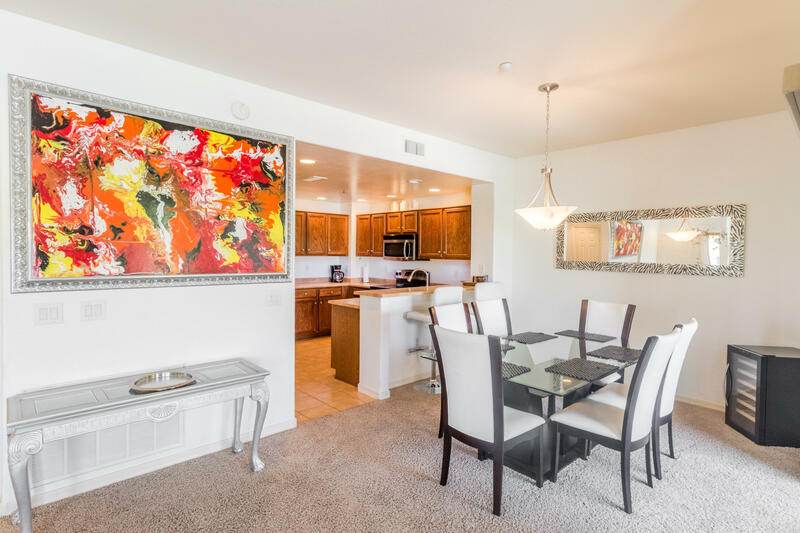 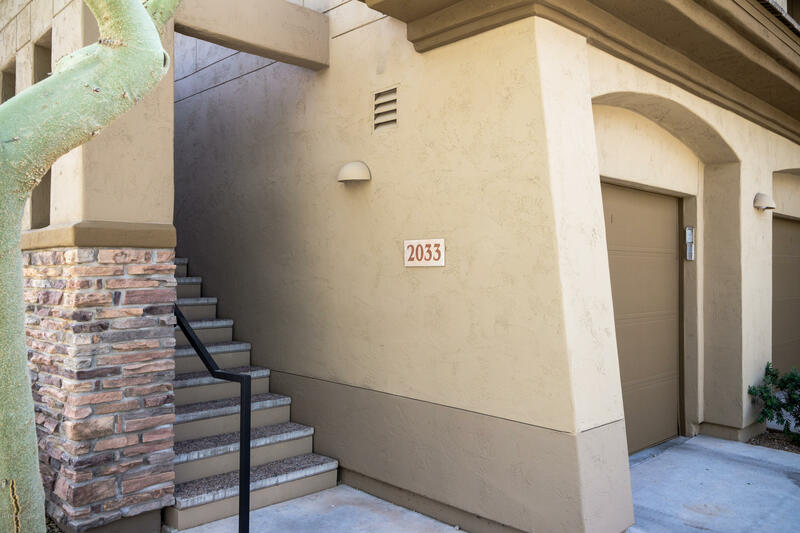 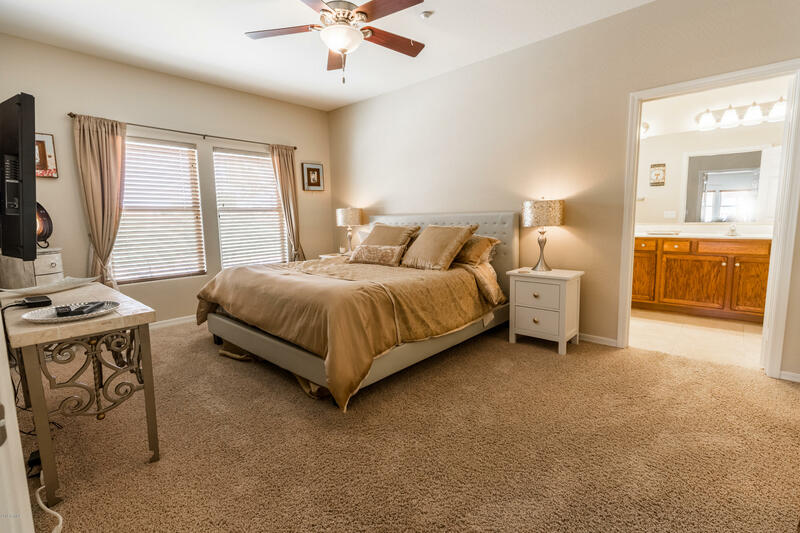 Enjoy everything Cave Creek has to offer from this 2 bedroom, 2 bathroom condo in the gated golf course community of Villagio. 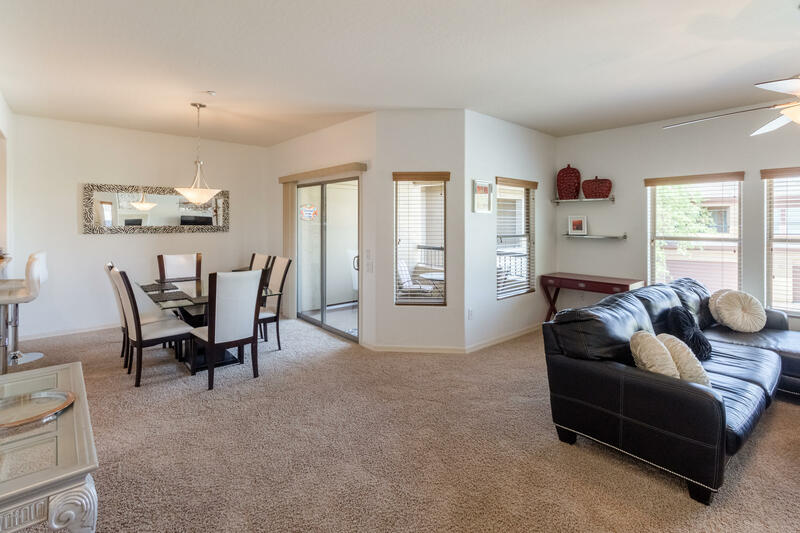 Relax on your private balcony with views of Black Mountain or cozy up by the gas fireplace in the living room. 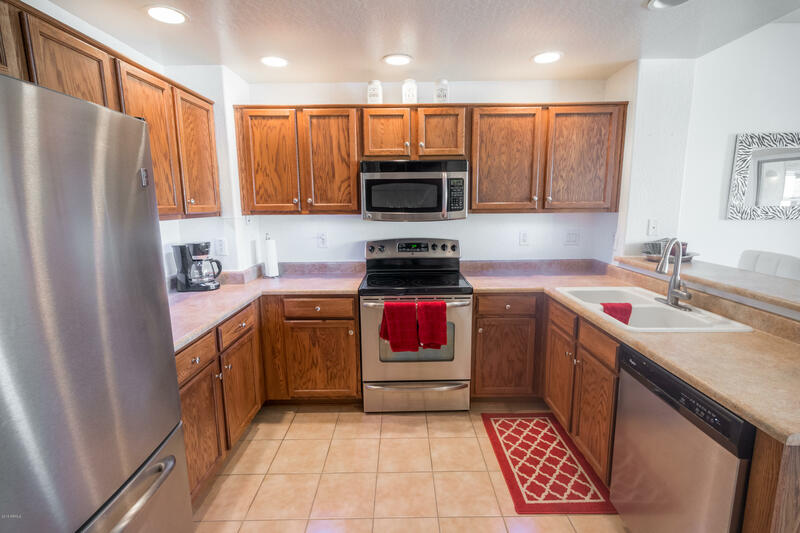 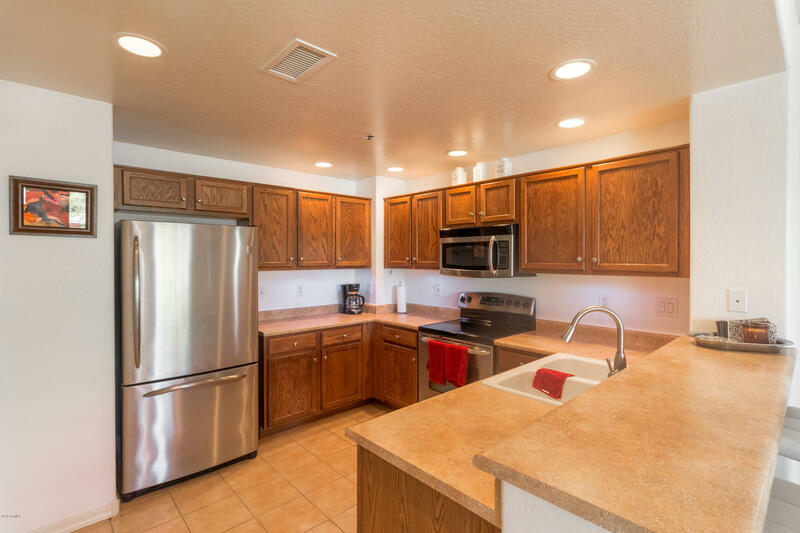 Kitchen boasts upgraded stainless steel appliances. 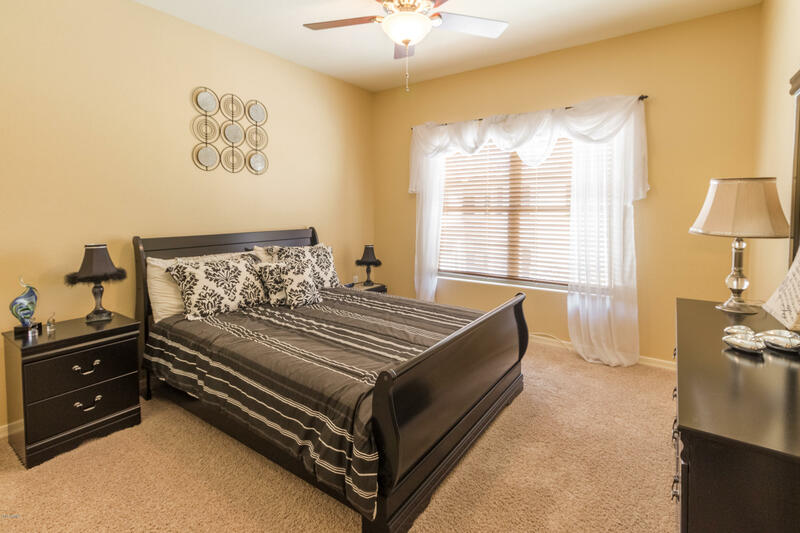 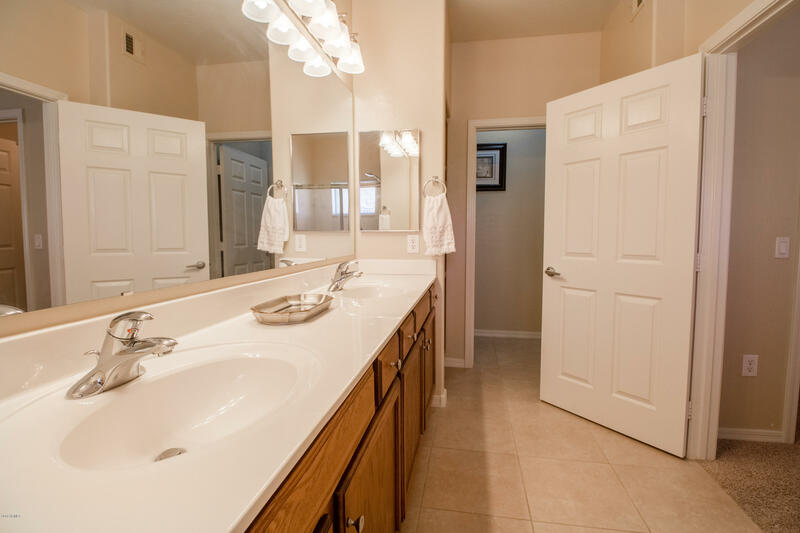 Large master bedroom and master bath that features dual vanity sinks and updated travertine flooring with expansive walk in closet. 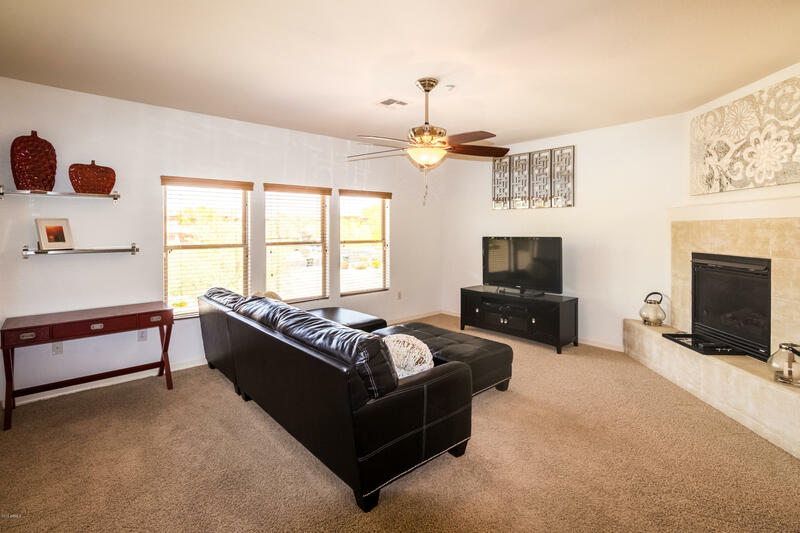 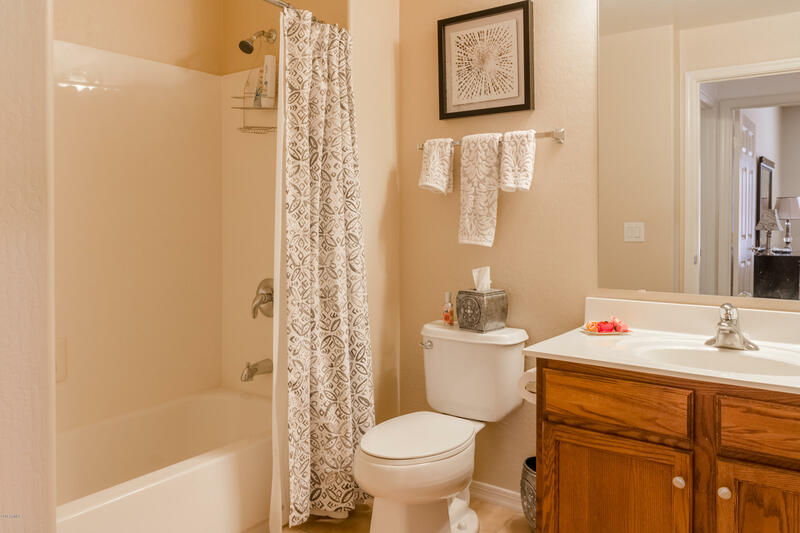 Enjoy the community resort style pool and workout facility along with Dove Valley golf course within walking distance.